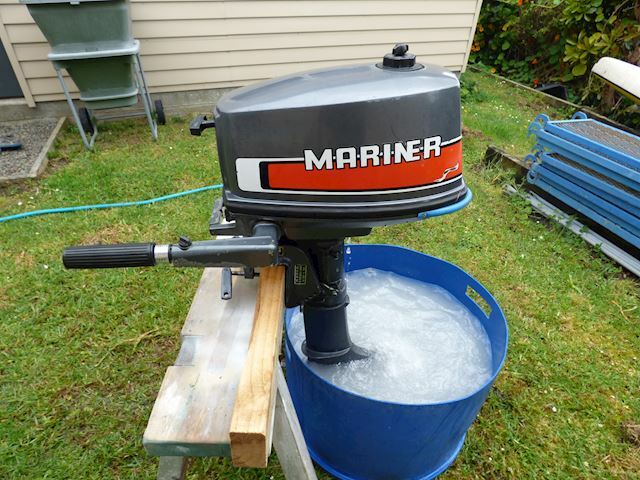 ********** THIS ITEM HAS SOLD ********** Mariner 4 hp outboard motor in good condition mechanically. 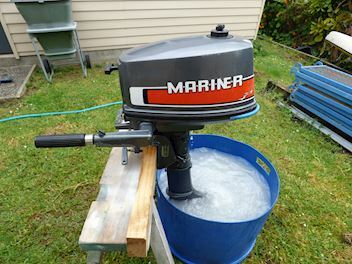 This is an older motor that has been used on my dinghy. I have owned since new and it has been super reliable. I retired it about 10 years ago as it was getting a little heavy to lift from the boat to the dinghy. I kept it as a spare and I no longer need it. I pulled it out of storage and it ran on the third pull. A great motor, a little rough on the out side. Inspections welcome if you want to see it running.